Focus on your operations and let us take care of the rest. Choose from a range of services that save time, money and resources. Once the interior furnishings have been delivered and installed, there is still work to be done before everything is complete. We compile information, tips and advice to make the process easier. Our support team are there for you and provide support for everything concerning your new interior, from advice regarding the environment, quality and safety to documentation, complaints and guarantees. We handle all matters and are available to provide clarity and answers to your questions, whatever they might be. We are happy to pay you a visit and to provide information and instructions on site. Care instructions and instructions for use are essential when it comes to getting the most out of your workplace and ensuring that it lasts over time. What good is it having height-adjustable desks if no one stands at them? Or ergonomic office chairs if they are not correctly adjusted? Book an ergonomics review to get the most out of your investment. Is sufficient sound being absorbed in the room to ensure visitors and employees are comfortable and can focus? We measure the reverberation time in the room and ensure that the acoustic environment is optimised for the function of each room. Does everyone have adequate work lighting for their tasks? What is the situation with regard to glare and reflections on screens? Book a lighting inspection for tips and advice regarding the work environment and lighting aspects. In order to safeguard development of the work environment at an early stage, we conduct user surveys and inventories based on the client’s requirements. This is best done after 2-3 years and involves reviewing the whole interior, recording any deficiencies and recommending action. Interior design for public environments maintains very demanding quality requirements and is worth safeguarding, from both an economic and environmental perspective. Components that are exposed to particularly hard wear and tear can often be replaced or refreshed. Call on us for repairs and redecoration. Many of our clients value being able to call on our experienced interior installers for internal work. With reorganisation, temporary or permanent relocation, work is best done by qualified and experienced staff. In order to facilitate delegation of purchasing and still have complete control of finance and uniformity, we can develop a client-specific product catalogue with the option of online orders, stock-keeping, guaranteed response times and regular inventory with smart labels. Input interior is constantly working to develop new services that can make everyday working life easier for our clients. Find out more below about how Input interior’s Interior Management System, Intelligent Office Solutions or Service Agreement create an easy and problem-free working day. Regular checks, rapid service and expert maintenance will increase the useful life of your interior furnishings, and the value of the furniture is preserved for a longer period by means of documentation. In addition, the guarantee period for your interior agreement is extended. Good, long-term choices yield greater gains, in terms of finance, time and the environment. Please contact us for more information on how a service agreement can be tailored to suit your specific business. Input interior’s Interior Management System offers a platform for coordinated operation and management. Simple, time-efficient and cost-saving. 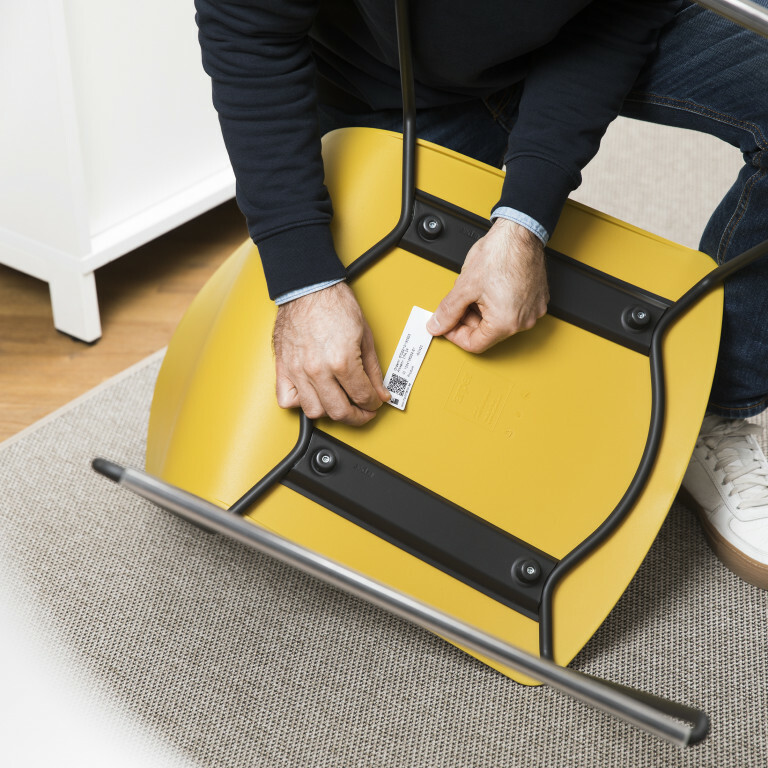 When new interior furnishings are installed and made ready, Input interior labels every product with a unique code that is linked to a database. All information about the product – where it is located, year of manufacture, price and model – is recorded in the system and is searchable via a smart label on the product. The system provides direct traceability for your interior furnishings and serves as an effective tool for inventory and ongoing operation. Interior Management System is compatible with most data-processing systems, such as BIM Asset Management, which saves time and facilitates operation and hand-over to new parties. For problem-free maintenance, a client-specific support team is also set up and there is an option to place orders or manage cases direct via mobile. Find out more about SEB’s head office, where Interior Management System is an important component of day-to-day operation. It’s not about where we work – but how. Intelligent Office Solutions optimises the workplace today and provides necessary insights for making the right decisions in the future. Intelligent Office Solutions is a system that contributes a number of benefits for the workplace. Health improvements, streamlining and cost savings. The system is scaleable and can be adapted to include the elements needed by your business. Continuous updating of occupancy rate and utilisation of areas. A simple and time-efficient booking system. Book a table or meeting room, anywhere and anytime. Find your colleagues. Find out where your colleagues are working for the day. A healthier workplace. 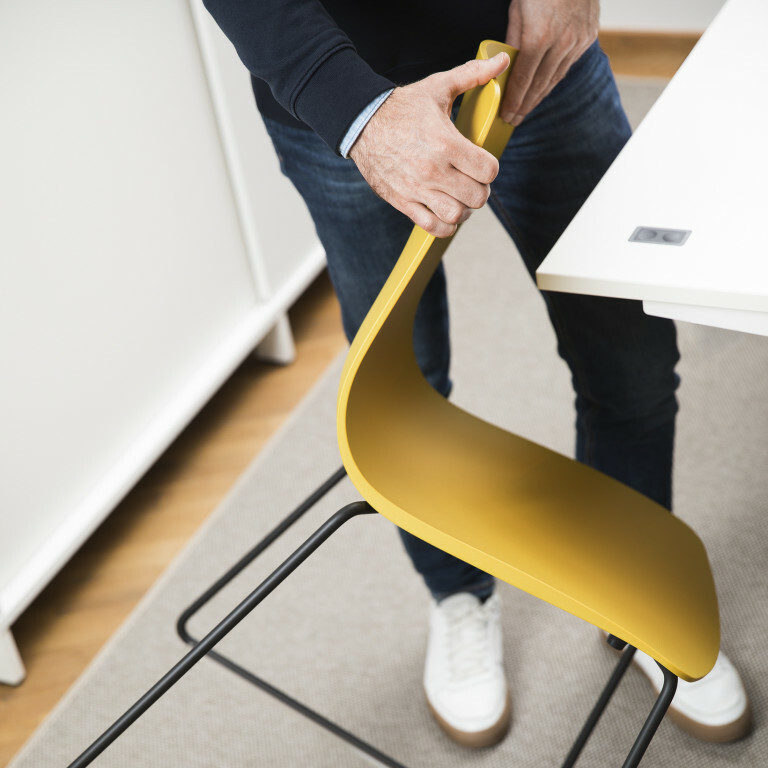 Get reminders about changing position and create personal settings for a productive and ergonomic working day. Save energy. Automatic shutdown of equipment and energy checks provide sustainability insights. Measure, evaluate and stop guessing. Base future decisions about the workplace on knowledge and data.